Here are the coordinates of nine points. 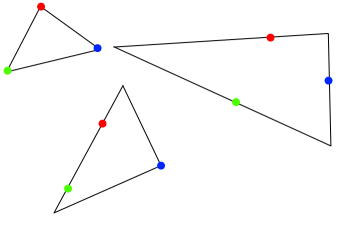 It is possible to draw a triangle so that the shortest distance from each point to the triangle is at most one unit. Can you find a suitable triangle? Is there more than one possibility? Can you convince yourself that there are always infinitely many such triangles? 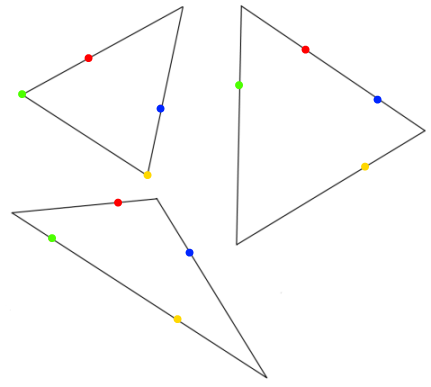 Is it always possible to draw triangles through a set of four points, whatever their position? Investigate some examples and explain your findings. What happens when we try to draw triangles through five points? Summation of series. Mathematical induction. Constructions. Fibonacci sequence. Generalising. Cartesian equations of lines. Pedagogy. Mathematical reasoning & proof. Group worthy. Making and proving conjectures.